As far back as I can remember, books have been a part of my life. The evidence of their presence is there, not only in my most faded memories but in old serrated-edged family photos as well. Looking beyond the faces and smiles captured in candid moments are fuzzy images of books on a shelf or magazines on a table — volumes and issues that I befriended when I was a kid. In many ways, these tomes were an important part of our family. Just holding one of these old volumes today can transport me back to a simpler time when my curiosity nudged me to form a friendship with books. My grandfather in particular taught me to treat books with respect and to find nourishment in the written word. That, in part, is why I was a bit disappointed this week when I heard a news report about the number of people ages 18 and up who did not read a single book over the past year (in spite of the technology that makes books even more accessible than ever before). I believe in the importance of owning books and in the value of reading. I have about 2,000 volumes in my personal library and an increasing number of e-books on my Kindle. I can’t imagine going a single week without reading a book, or some part of a book, much less an entire year. I recently ordered a couple of used copies of travel books by two of the world’s greatest travel writers to add to my reading queue. I have just started reading “In Patagonia” by Bruce Chatwin. As soon as I finish Chatwin’s book I will read “A Visit to Don Otavio” by Sybille Bedford. Sometime between these volumes I will order a copy of “A Short Walk in the Hindu Kush” by Eric Newby, another great travel writer. I absolutely love the way books like these stir my imagination and teach about places beyond my home. In thinking about the folks who did not read a single book this past year, I decided to compile a short list of reasons why I love to read. Imagination | There is nothing like a good story to stir the imagination of a reader. I can still hear my grandfather’s voice reading “Androcles and the Lion” to me and remember how the story stirred my imagination. I had dreams about Androcles and the Lion. Inspiration | I enjoy books that challenge me to do something meaningful or creative to help make a difference in our world. After reading several books about Mother Teresa, I was inspired to actually go to Kolkata to serve the destitute and dying in her homes. Curiosity | Curiosity is an itch that the right book can scratch. I still have “The Golden Treasury of Knowledge” volumes that my parents bought for me when I was a kid. These books answered my questions about a variety of topics and became a springboard for further reading and investigation. 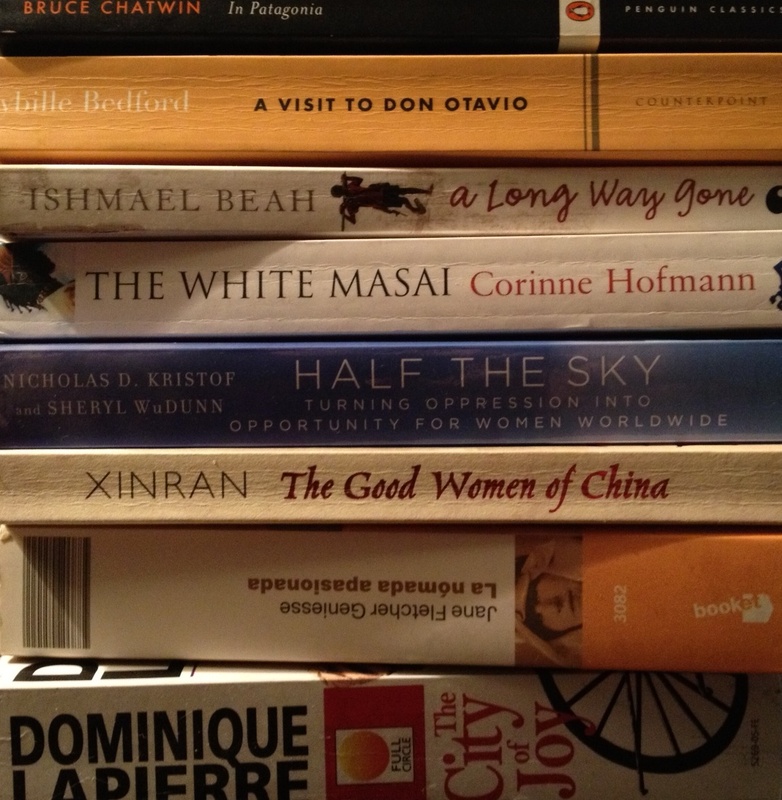 Vision | Books can enlarge our view of the world and help us to understand other cultures. Mark Twain said, “Travel is fatal to prejudice, bigotry, and narrow-mindedness — all foes to real understanding. Likewise, tolerance, or broad, wholesome charitable views of men and things cannot be acquired by vegetating in our little corner of the earth all one’s lifetime.” We can’t all travel but we can all read — something that is also fatal to prejudice and a myopic view of the world. Knowledge | Reading can make you smarter. The more you read the more knowledge and understanding you can gain about the world around you. An added bonus to reading is that you will always have something to talk about with others. Vocabulary | Increasing your vocabulary is one of the best benefits of reading. I always keep a dictionary handy when I read. I especially enjoy reading on my Kindle because it has a built-in dictionary feature that allows me to see the definition of a word at the tap of my finger. Concentration | Reading can help build your capacity to concentrate. Although I prefer to read in a quiet place or places with few distractions, I can read just about anywhere. A good book has a way of helping me to tune out the noise. Relaxation | Reading is a relaxing exercise that reduces my stress, even if only for a short while. Reading is much cheaper than a therapist or a prescription and can do you a world of good. I hope you are not among the folks who did not read a single book last year. But if you are, you can do something to change that. Start by reading about a topic that interests you. Don’t get in a hurry. Reading is not a race. Read at your own pace, even if only a few pages a day. Stay with it and then, when you finish, find another book and begin the journey toward building a library of books that you can enjoy for a lifetime. Happy reading! Reading is one of life’s great blessings. I started reading in the seventh grade and have never stopped. It seems like my view of the world has been largely shaped by the written word in one form or another and I can’t imagine life without books. Absolutely true, Chad. Reading is indeed one of life’s great blessings. Trust you are well. God brought you to mind this week. Thanks for your always-encouraging comments.